On the surface, Lunch with Buddha is a story about family. Otto Ringling and his sister Cecelia could not be more different. He’s just turned 50, an editor of food books at a prestigious New York publishing house, a man with a nice home in the suburbs, children he adores, and a sense of himself as being a mainstream, upper-middle-class American. Cecelia is the last thing from mainstream. For two decades she’s made a living reading palms and performing past-life regressions. She believes firmly in our ability to communicate with those who have passed on. 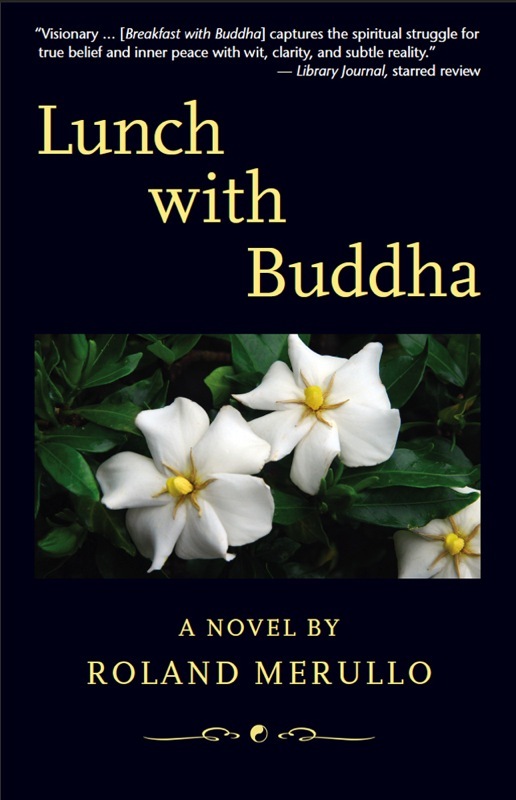 In Lunch with Buddha, when Otto faces what might be the greatest of life’s difficulties, it is Cecelia who knows how to help him. As she did years earlier in this book’s predecessor, Breakfast with Buddha, she arranges for her brother to travel with Volya Rinpoche, a famous spiritual teacher — who now also happens to be her husband. 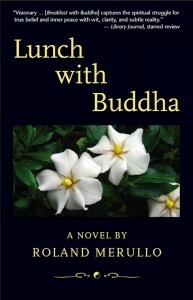 Learn more about Lunch with Buddha at the book’s website, lunchwithbuddha.com. 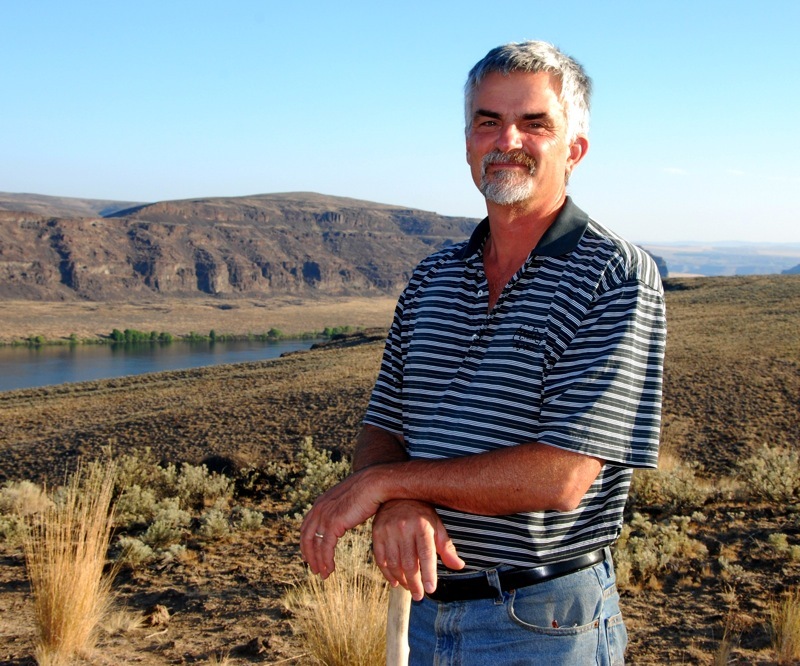 Roland Merullo is an awarding-winning author of 14 books including 10 works of fiction. Breakfast with Buddha, a nominee for the International IMPAC Dublin Literary Award, is now in its 14th printing. The Talk-Funny Girl was a 2012 ALEX Award Winner and named a “Must Read for 2012” by the Massachusetts Library Association and the Massachusetts Center for the Book; Revere Beach Boulevard was named one of the “Top 100 Essential Books of New England” by The Boston Globe, A Little Love Story was named one of “Ten Wonderful Romance Novels” by Good Housekeeping and Revere Beach Elegy won the Massachusetts Book Award for non fiction. A former writer in residence at North Shore Community College and Miami Dade Colleges, and professor of Creative Writing at Bennington and Amherst Colleges, Merullo has been a guest speaker at many literary events and venues and a faculty member at MFA programs and several writers’ conferences. His essays have appeared in numerous publications including The New York Times, Outside Magazine, Yankee Magazine, Newsweek, Boston Globe, Philadelphia Inquirer, Boston Magazine, Reader’s Digest, Good Housekeeping, and The Chronicle of Higher Education. His books have been translated into German, Spanish, Portuguese, Korean and Croatian. Roland Merullo lives in western Massachusetts with his wife and two daughters. For additional information, please visit Mr. Merullo’s website, rolandmerullo.com. Tuesday, November 27th: Write, Meg! Thursday, December 6th: Book Club Classics!